FIREBOAT: Originally named the "DAVID CAMPBELL" as a city of Portland, Oregon fireboat, the Express (official number 211065) was designed by Chicago based naval architect Theodor Knudson to be 125' long by a 27' beam and 9' depth, 242 gross/154 net tons. The vessel was steam driven by twin Compound engines which were supplied by twin Ballin boilers and burned oil, producing a combined 1,200 horsepower. Assembled in Ferrysburg, Michigan in 1912 as hull 52 by the Johnston Brothers Company of riveted iron/nickle plates on steel frames which were produced in Illinois. The vessel was knocked down, crated and shipped to Portland to be reassembled at the yard of Joseph Supple by the Smith and Watson Ironworks making the first firefighting action in May of 1913. The first David Campell served the city of Portland for 13 years. The vessel was named for fire chief David Campell who had died June 26, 1911 fighting the Union Oil fire. 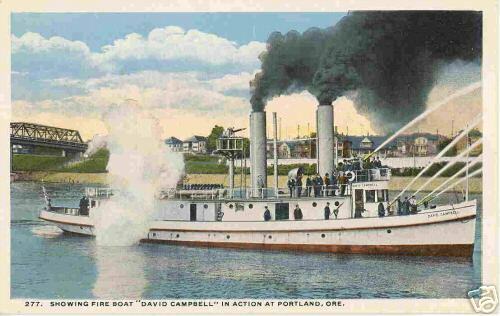 The vessel was replaced in 1927 by a gasoline powered fireboat also named David Campell, which still serves the city of Portland to this day. With the new fireboat online, the name of the older fireboat was changed to "CHIEF". 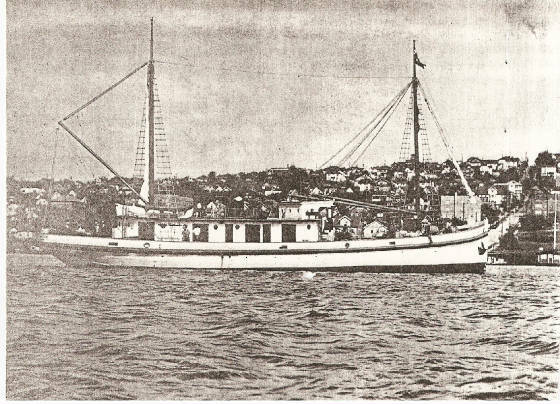 FUR TRADER: Kanaga Ranching Company purchased the "CHIEF" in 1929 from the Foss Launch & Tug Company and converted the vessel at Lake Union Seattle from steam power to a sail/diesel power schooner and renamed "ALEUTIAN NATIVE". 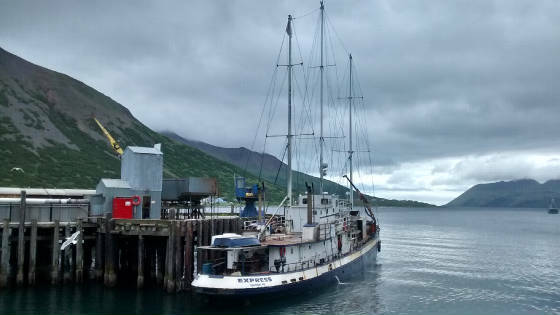 The wheelhouse was rebuilt aft to make room for the two holds and hatches for cargo, supplying Kanaga Island in the Aleutians and returning to Seattle loaded with furs and other cargo. The deckload of lumber was lost in a storm on the maiden voyage north and a 100' tidal wave reportedly swept the decks clear in the Aleutians durring this service. 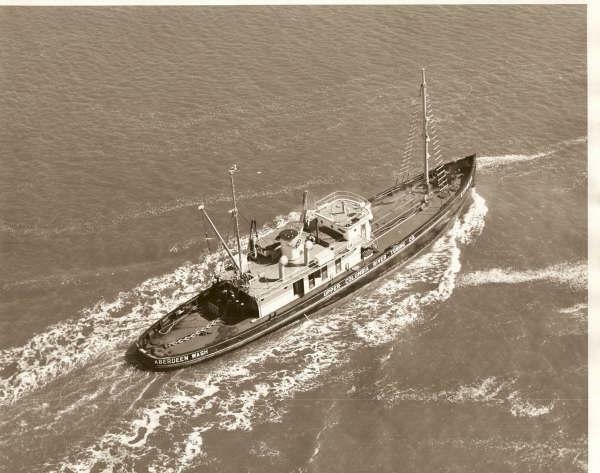 OIL TANKER: In 1932 the "ALEUTIAN NATIVE" was purchased by Petroleum Navigation Company and converted to an oil tanker for supplying remote areas of Alaska with fuel and was renamed EXPRESS in 1939. The EXPRESS provided a vital service to Alaska durring World War II supplying needed fuel and cargo to remote areas of Coastal Alaska. 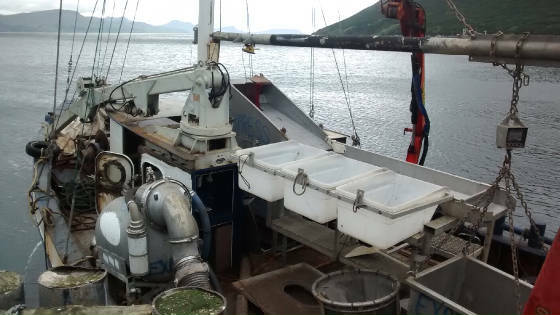 In 1953 the aft cabin section was removed to make room for a surplus Navy tow wench for towing fuel and cargo barges to supply fish canneries and became active as a Bering Sea king crabber between tows. 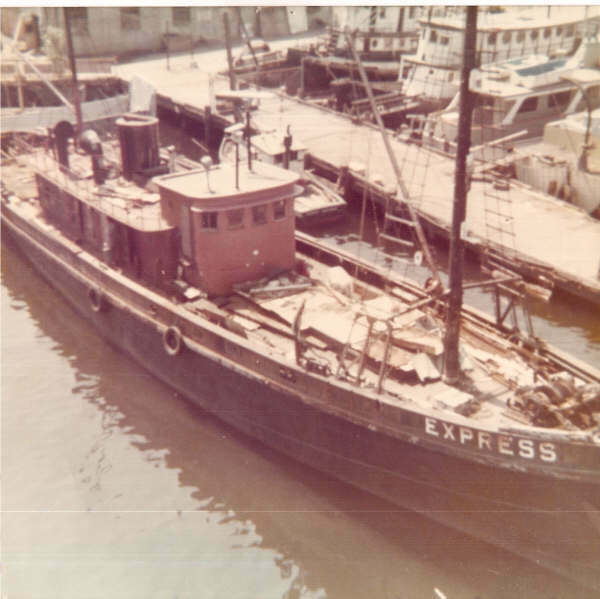 TOW BOAT: In 1956, the Express was purchased by the Upper Columbia River Towing Company operating on the Columbia River and along the West Coast between Oregon and Southern California mostly towing log rafts from Oregon to Long Beach California and barges on the return. (note the aft cabin was removed for the addition of the tow winch in 1953). The Express won the Seattle Maritime Festival races and later Tugboat Races each of some 15 different times over the many years from the mid 1930s thru the early 1990s it was entered. 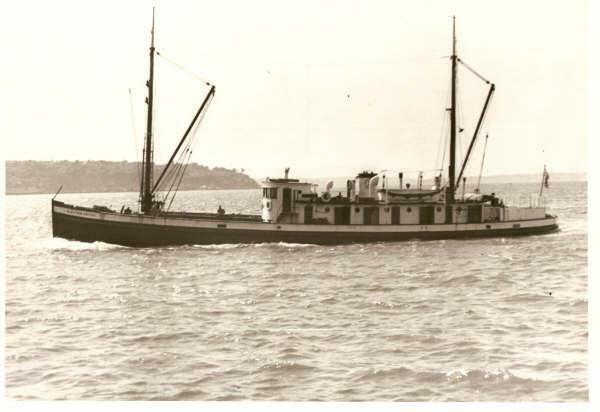 A most notable race was won as the oil tanker "ALEUTIAN NATIVE" in 1938 at Seattles' Maritme Day in a Challenge with the vessel "Indian"
BERRING SEA CRABBER: The EXPRESS as she looked in the later years as a Bering Sea Crabber. 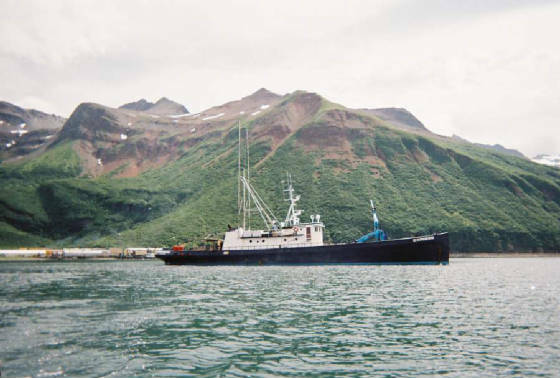 Although the Japaneese had been dragging for King Crab and other small boats had fished for King Crab with pots (traps), the EXPRESS is reported to be one of the first US flagged BIG Bering Sea King Crabbers operating as a combination boat towing fuel and supply barges north for remote Alaska Peninsula and Aleutian canneries then actively fishing for King Crab (trawl gear) and towing barges south from 1953 to 1956 and later returned to mostly fishing Bering Sea king crab and tendering salmon from 1963 to 1972 using pot gear. 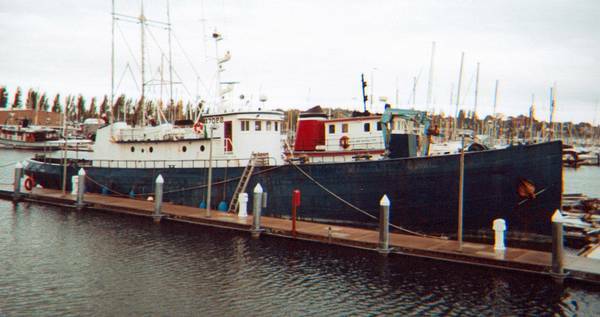 SALMON TENDER/TOW BOAT: Tom and Mike Kent converted the EXPRESS to a combination Towboat/Salmon tender in the mid 1970's. The EXPRESS operated as a tender/towboat until 2001. 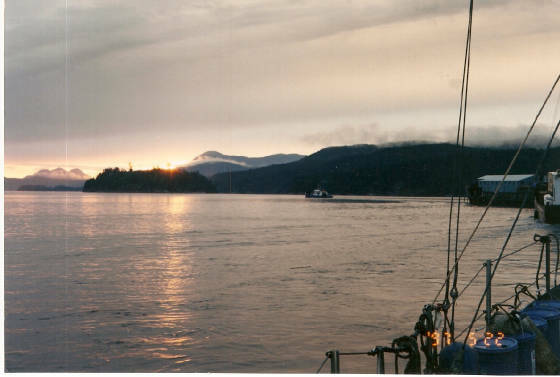 In the upper photo, the EXPRESS is towing two barges and current captain/owner John Clutters' ferro Cement ketch NESIKA up the inside passage in May of 1997 with Captain Jim Rockam taking her for the first time and Mike Kent on board to assist. John working alone for 3 weeks, had designed and built the mast for NESIKA of Aluminum light poles and Boeing scrap aluminum on the smaller barge at Kenco Marine on the Duwamish River across river from the Boeing Aerospace Museum area and the tow allowed for time to complete the boom and other rigging. 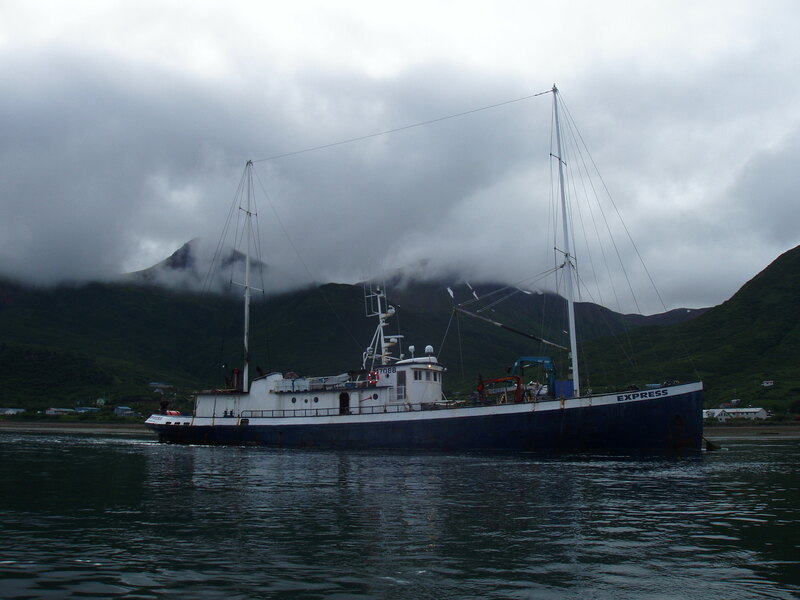 The NESIKA was cut loose at Cape Spencer to sail on to Chignik, Alaska and then to Honolulu later that October. The present renovation underway is for service as a Tender/Research Vessel.